Modularity… Performance… Precision is what our bench type drill machine, drill machine known for, available at most competitive rates worldwide. Owing the requirement of the bench type drill machine, we as a manufacturer, supplier and exporter of the pillar drill machine have also engrossed in the manufacturing of the bench type drill machine. The offered bench type drill machine manufacturer is sturdily constructed in order to proffer a machine that ensures high work competence, safety and reliability to the clients. This is also known as the mini drill machine due to its small dimensions, in contrast to the pillar drill machine. We are very careful towards dimensional accuracy, therefore known in the industries for unsurpassed quality bench type drill machine that has proven its potency by carrying out drilling, reaming and tapping smoothly with no hassle all through the operation. Further, our meticulous approach towards its quality against international standards is carried out with the help of the strictest quality checks by the team of the quality analyst. The efforts and adherence to ethics has enabled us to introduce a range of the bench type drill machine sharing robust construction, smooth operation, easy installation, low cost operation, low maintenance and absolutely noise free as well as vibration free operation, amidst our 13mm bench type drill machine is performing outstandingly in the industries for its remarkable results. Modularity… Performance… Precision is what our 13mm bench type drill machine known for, available at most competitive rates worldwide. Being a notorious name in the industries as best in class 13mm bench type drill machine manufacturer, supplier and exporter is the result of our congenial attempts to manufacture a range of the 13mm bench type drill machine owing the severe requirements of the clientele. 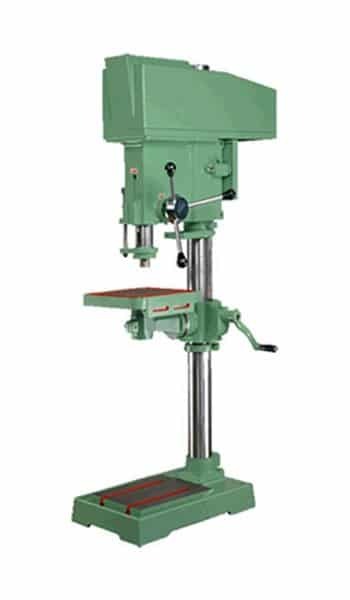 This 13mm bench type drill machine is widely popular in the industries, evidenced by the wide number of installations across India. The expertise in the allied domain is an outcome of our years of experience in the allied industry, promotes us to understand the product and client both, and in accordance deliver a solution that is outstanding in performance perspective. The précised configuration owing its application facilitates us to deliver a range of the bench type drill machine that is easy to mount on table. The compact size of this bench drill machine finds its application to accomplish drilling, reaming and tapping in steel, cast iron and soft material jobs covering aluminum, brass, wood, plastic, etc. The utmost care in concerned to the raw material used for the construction and quality controlled processes is the grounds for the highest quality output of this bench type drill machine. Further the several testing against quality measures has enabled us to introduce a product range of the bench type drill machine that exhibits remarkable rigidity, strength, high efficiency, noise free running and interruption free operation. The plethora of advantages abreast its cost effective quotient has made it the highest circulated machine in the industries. This bench type drill machine is guaranteed for its conformity with the required ISO 9001:2000 standards, which is applicable for the entire range that we provide in the standard specification. Additionally, we as a manufacturer, supplier and exporter of this bench type drill machine make this machine available in the customized range too. 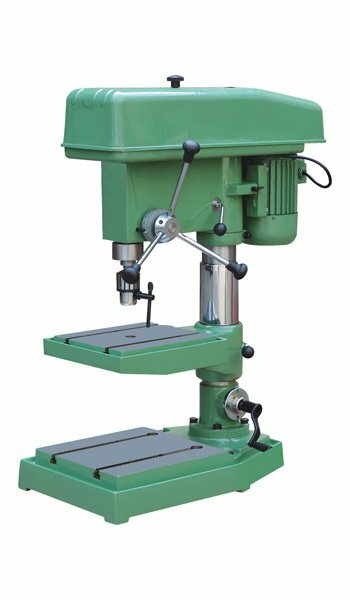 The entire range of this bench type drill machine generally operates in the standing position and is easy to operate, regulate and provide hassle free service spans the lifetime. Our qualitative gamut of the drill machine is proficient for boring, drilling, reaming and tapping in Concretes, Rocks, Heavy duty machines, Wood, Glass, Plastic and Metal sheets and finds its application in machine tools, woodworking, Automotives, tool rooms, pharmaceutical plants, pipe fittings, agricultural factory, power sector, chemical and petroleum industry, cement factories, etc… Get a FREE quotation and FREE advice today…! !